Many years ago I watched The Life and Times of Judge Roy Bean starring Paul Newman. 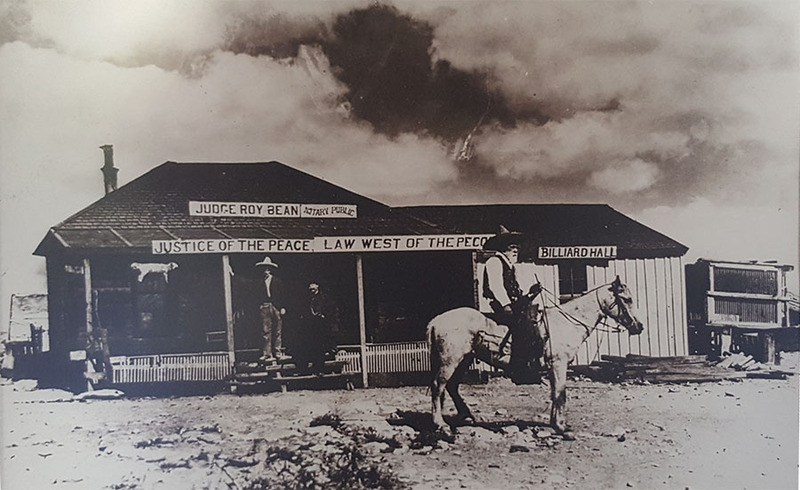 It struck a chord with me, so imagine my delight when I saw signs for the Judge Roy Bean museum! We were driving along Hwy 90, heading towards Marathon, Texas where we planned to stay for the night. 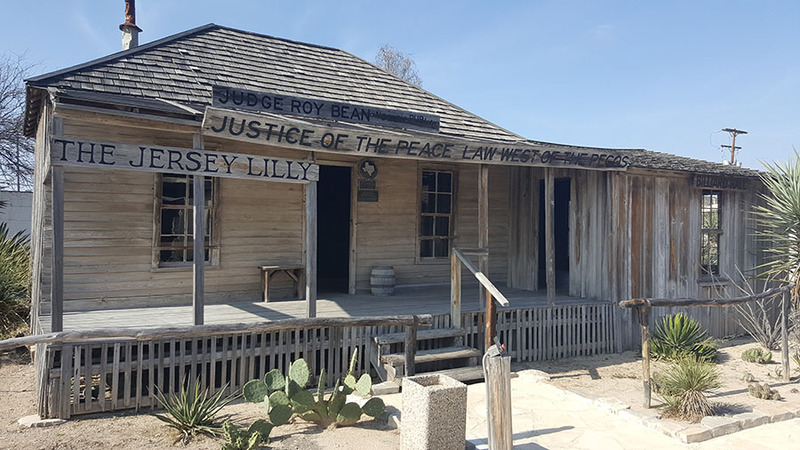 A small brown sign – “Judge Roy Bean Museum, 1 mile” – caught my eye and we immediately decided to take the short detour though Langtry, Texas to visit. It was well worth the 30 minutes! Judge Bean was a controversial figure in his day. He was known for his, umm, unique style of justice. Despite his conviction for murder and escape from jail for a different crime, he was appointed Justice of the Peace in 1882, maintaining his position as the “Law west of the Pecos” until his death in 1903. The Visitor’s Center and “Museum” are maintained by the Texas Department of Transportation, which was given possession of the Judge’s bar in mid-last-century. The site consists primarily of the actual building and attached billiard hall where the Judge tended bar and dished out justice “Judge Bean style”. Judge Bean’s bar, courthouse and billiard hall, Langtry, TX. The buildings have been maintained enough to keep them from falling down, but not gussied up much. You get the feel of the place, and what it might have been like at the time to order a drink or face the Judge in the 1890’s. 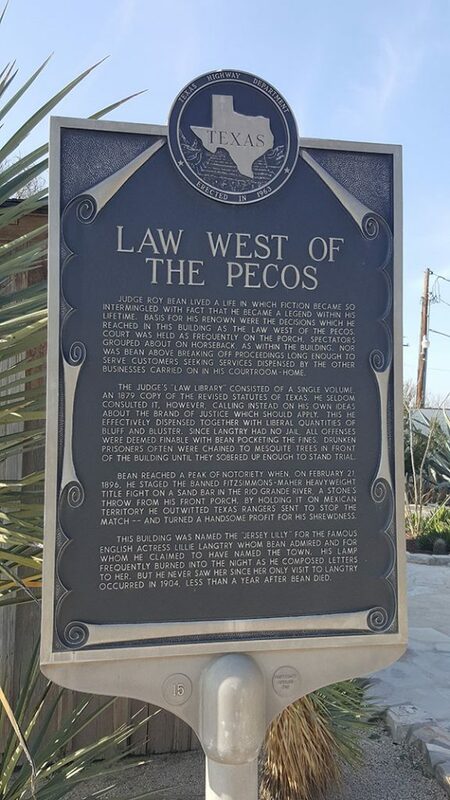 For a summary of Judge Bean’s contributions (both famous and infamous) there is a Texas Historial Marker outside the building. 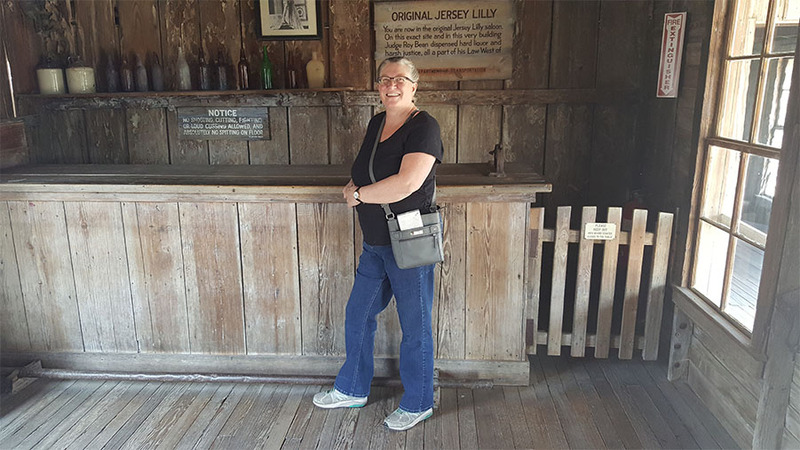 There’s some controversy about the name of the town … I thought for sure that it was named after Lily Langtry, whom Judge Bean admired profusely. However, there’s a small plaque at the site that says the town was named for a railroad worker named George Langtry (which is also what the Wikipedia entry from Langrty, TX says).